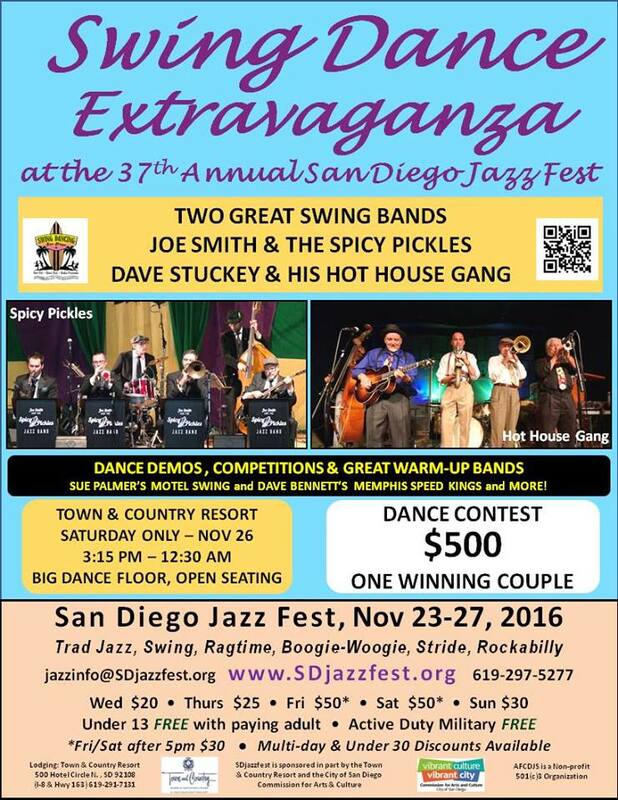 — with Sue Palmer, Joe Smith and the Spicy Pickles Jazz Band, Dave Bennett Fan Club, Dave Stuckey & The Hot House Gang, Swing Dancing San Diego, Town and Country Resort and Convention Center and Sweethearts of Swing. Next post: I compiled a list of NYE events that (may) have swing dancing. See Dec. 31 on http://sdswingcats.com/calendar for info (if available).